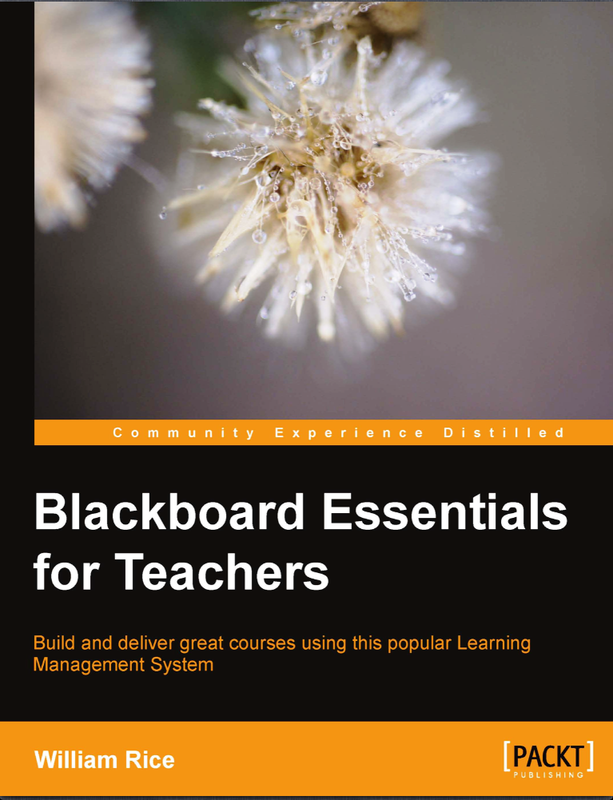 PACKT Publishing asked me to write a review about the book ‘Blackboard essentials for teachers’ by William Rice. It is an instructional book on how to build courses in Blackboard. I get these kind of request occasionally, but most of the times I will not go into them. This time I did because as a CEO of an authoring tool it is very interesting to keep up to date with the authoring capabilities of Learning Management Systems. I was curious if this book could give me a clear impression on how Blackboard works and what kind of facilities it offers. And I must say, it did. I must say that it is a very clear and instructive book. He has written it from the perspective of a teacher. The book has lot’s of screen shots, clear step-by-step instructions and it covers the subjects in a logical way. It has tips and warnings and could actually guide a teacher through the complex system Blackboard is and let him create, publish and use an eLearning course. It doesn’t stop at the creation of a course but it also covers how to deploy the course, and even how to grade your students. If I was a teacher and had to create a course within Blackboard I would be very happy with this book. I don’t have access to Blackboard, nevertheless it gave me a very good impression on what the functionalities are and how to use them. The one thing that I missed are instructions on how to use of external course material. It does cover how to include content elements like images and video, but not how to use an external SCORM or QTI package. As a teacher you probably want to use external courses as well, and especially within universities there will be often be a department that will deliver the final assessment to you. Apart from this I can recommend this book to you. More info is available at PACKT.